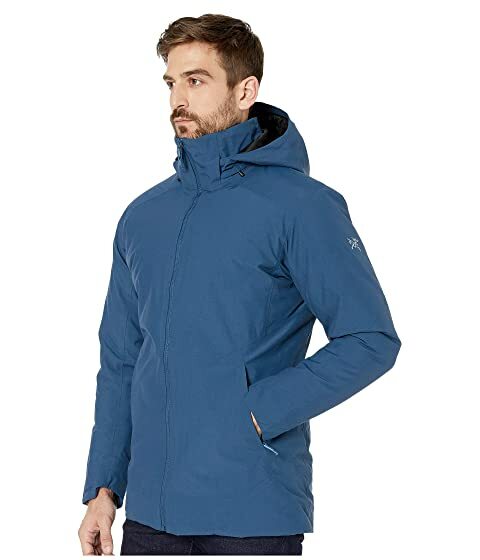 The Camosun Parka pulls insulation and tech from the backcountry for around-town warmth and weather protection. Athletic Fit reduces excess fabric for improved range of motion. - Two-layer bonds a membrane to the abrasion-resistant, 150 denier plainweave shell. 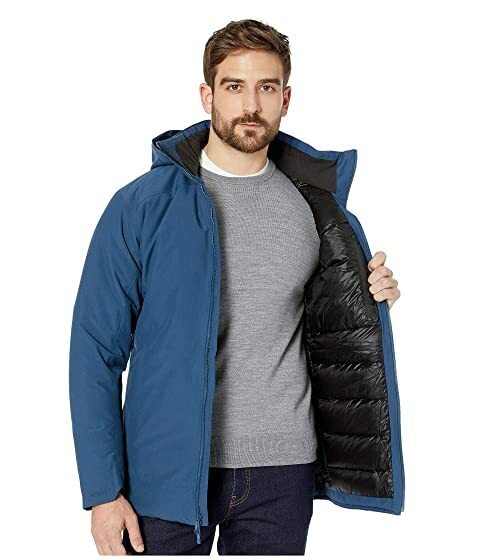 - Windproof and waterproof design with fully taped seams. - Highly breathable design allows perspiration vapor to escape. 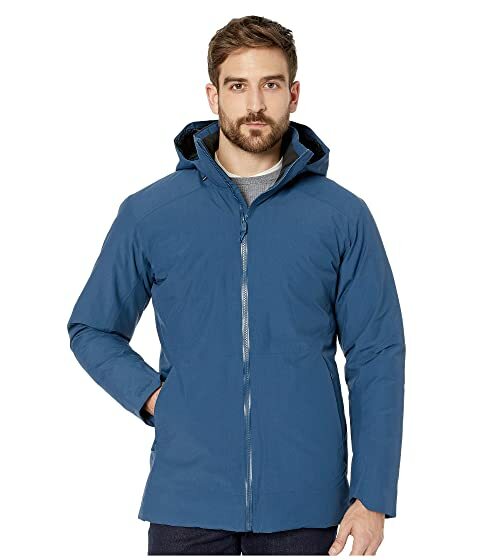 - DWR (durable water repellent finish) offers improved water-resistance. - Paclite® design is highly compressible for packable performance. - Synthetic insulation next to shell draws moisture away from down. - Compressible, multidenier Coreloft™ 140 and Coreloft™ 100 siliconized polyfill. - 750-fill, European grey goose down. - Down Composite Mapping™ reduces moisture retention in high-perspiration zones. 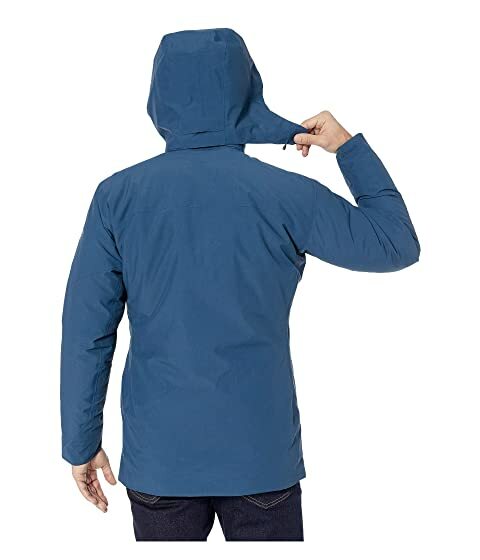 Removable hood with three-way adjustable drawcords. 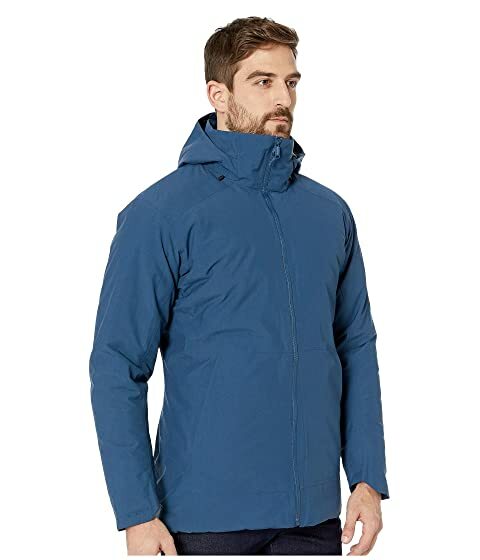 Full-length, watertight YKK zipper at front. Insulation and Interlining: 100% polyester.